There are no photos with those IDs or post 24525 does not have any attached images! 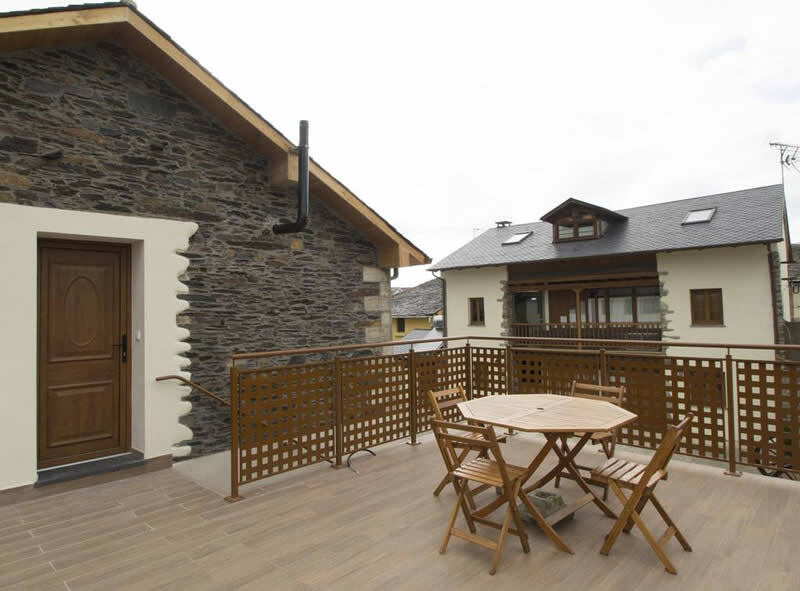 The Caxila Rural Apartments are located in a pleasant, rural and quiet environment in the Setienes village, to 2 km of the fishing village of Luarca. There are four apartments. Two of them with capacity up to five people and the other two for two people. All have a kitchen equipped with a fridge, microwave, washing machine and the necessary kitchenware. In addition, they have gardens, a hot tub, barbecue area, free Wi-Fi and a closed parking area in front of the house. This establishment also has a bar and cafeteria, a grocery small and a orchard.